Then as the time approaches builders block sets in and I start getting nervous. What to build, what to build??? Of course I want to make it fun, awesome and so cool. Well back to the to-do list. 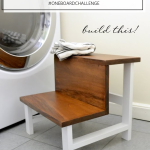 This isn’t amazing, but it’s very functional if you are short or have kids. 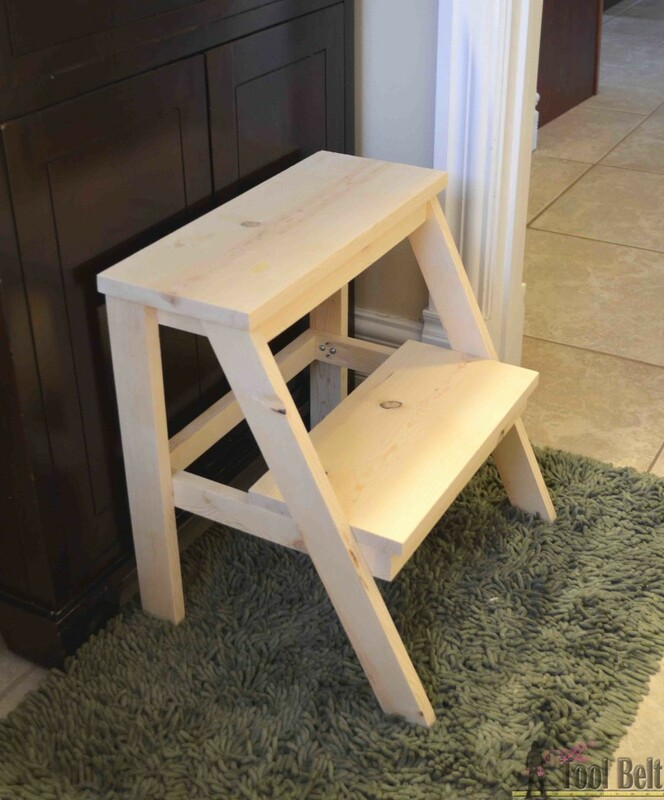 My kids have been using a 12″ plastic stool from IKEA to boost them high enough to wash their hands in the bathroom. 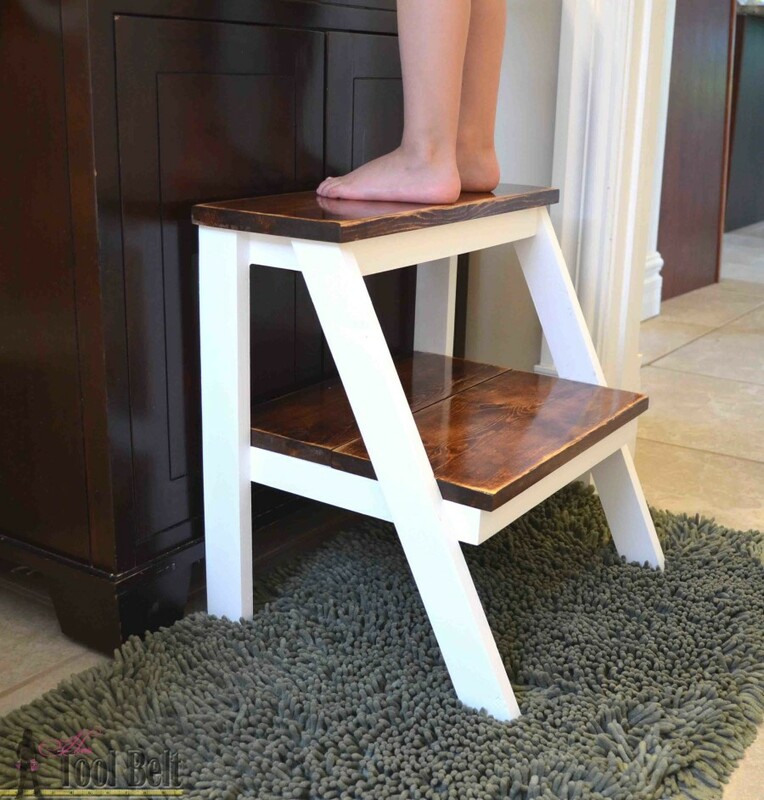 This stool works great for the 5 year old, but it’s too short for the 2 year old and she can’t reach the faucet. 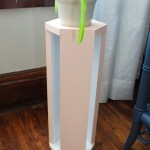 I measured a good height for her, and made the new stool 18″ tall. This is a great height for her, and the 5 year old can stand on the lower stair and reach comfortably. I call it a kids, but it is plenty sturdy for big people too. 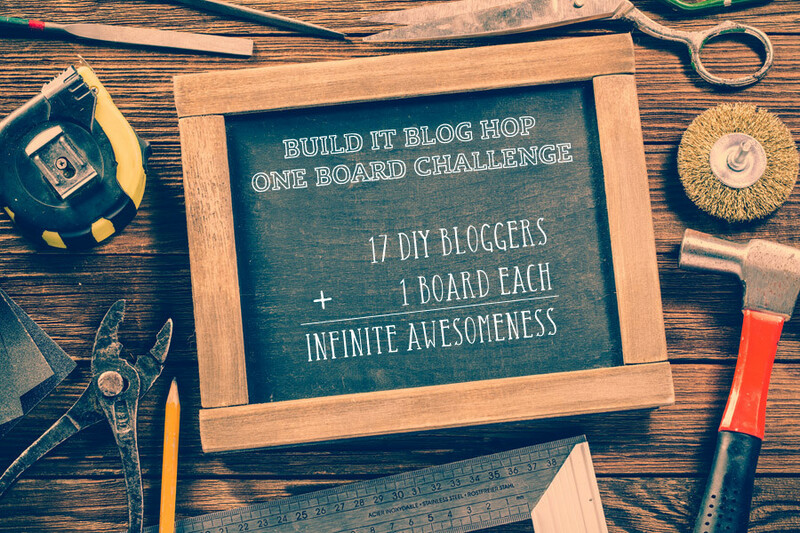 The stool starts out as this humble board. 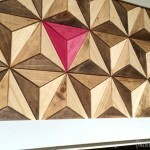 Cut the 18″, 15 1/2″ and 15 1/2″ pieces from the board. Rip one of the 15 1/2″ pieces to 6″ wide. Rip the remaining part of the 1×8 into 4 strips, 2 @ 1 7/8″ and 2 @ 1 1/2″. Make the designated cuts according to the diagram. 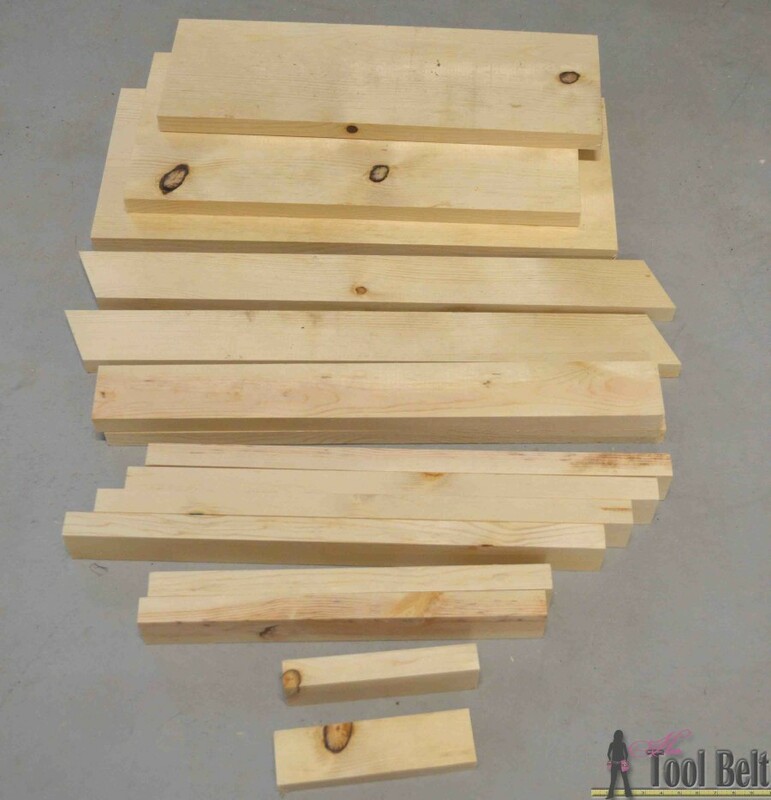 The 19″ pieces have a 25 deg miter cut on both ends. 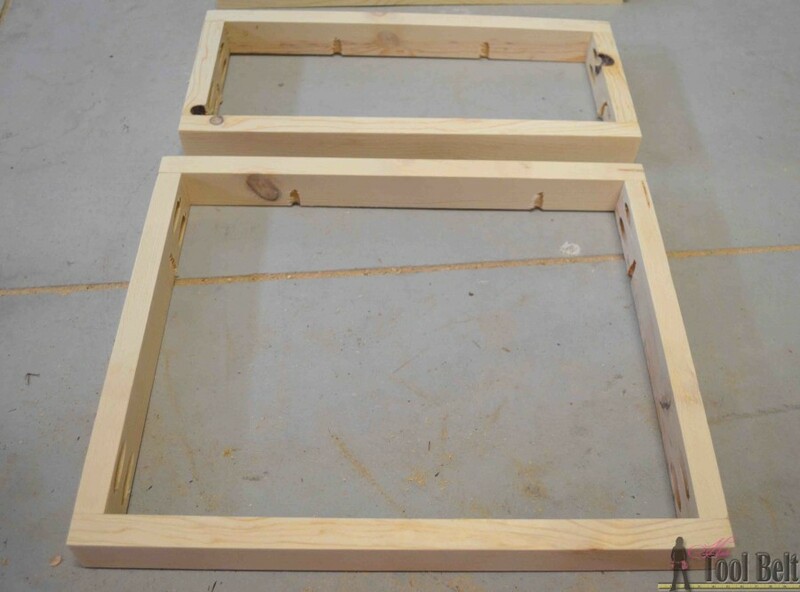 The 5 1/4″ pieces will need to be ripped to 1 1/2″. 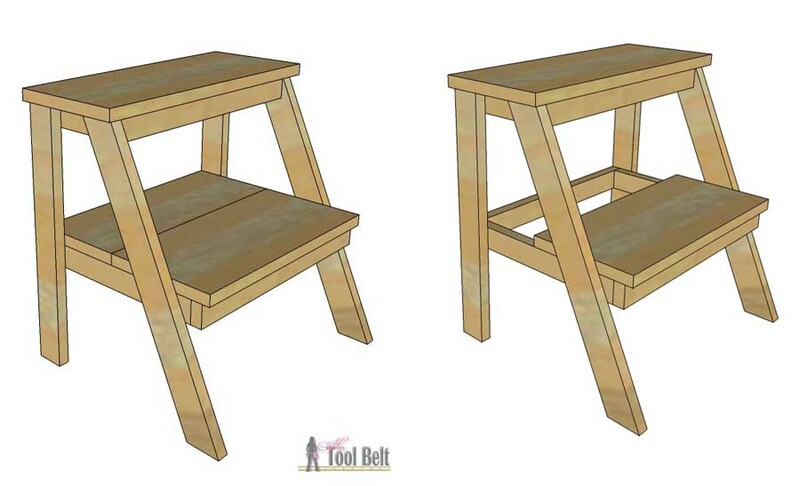 To assemble the stool, you can use pocket holes* to hide your screws or have the screws showing. 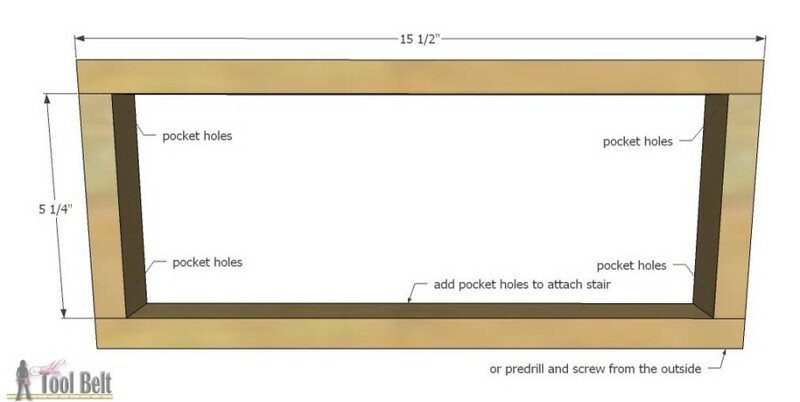 Drill pocket holes in both ends of the 5 1/4″ pieces. 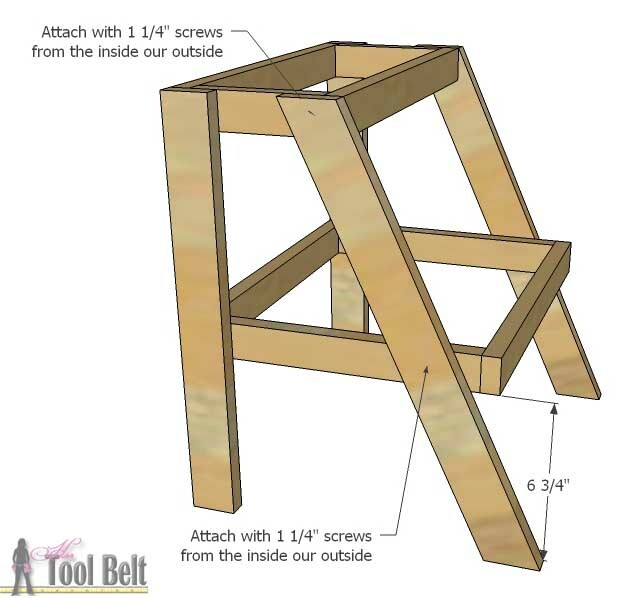 Use wood glue and 1 1/4″ screws to assemble the top stair support. Add pocket holes to attach the stair tread later. 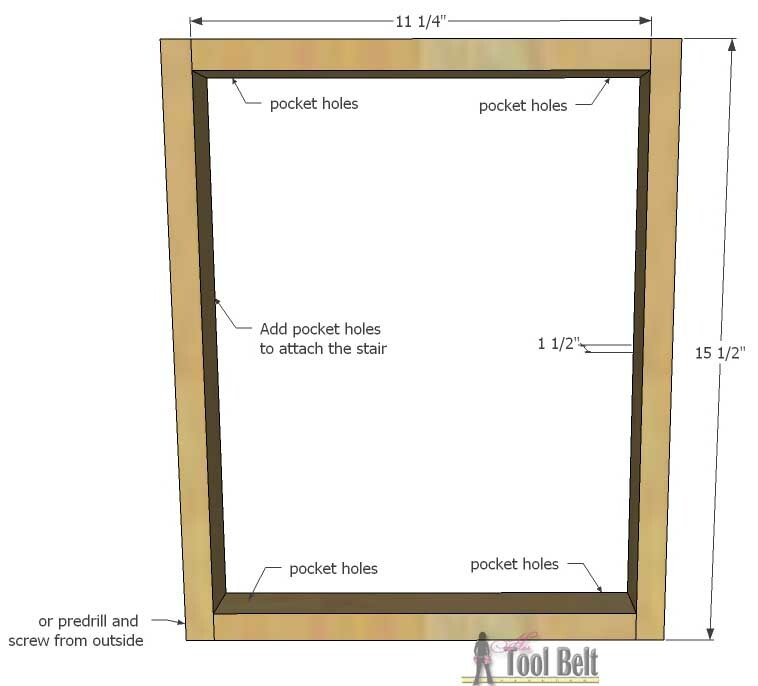 Drill pocket holes in both ends of the 11 1/4″ pieces. 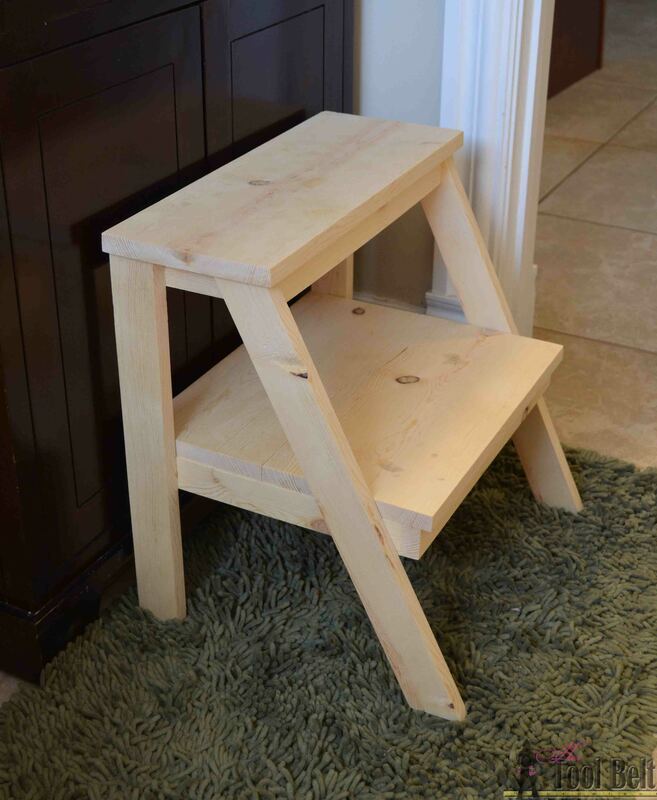 Use wood glue and 1 1/4″ screws to assemble the lower stair support. Add pocket holes to attach the stair tread later. Mark 6 3/4″ from the end of both 17 1/4″ pieces. Line up the lower stair support with the 6 3/4″ mark, secure with 1 1/4″ screws. Make the top stair support flush with the top of the 17 1/4″ pieces, secure with 1 1/4″ screws. 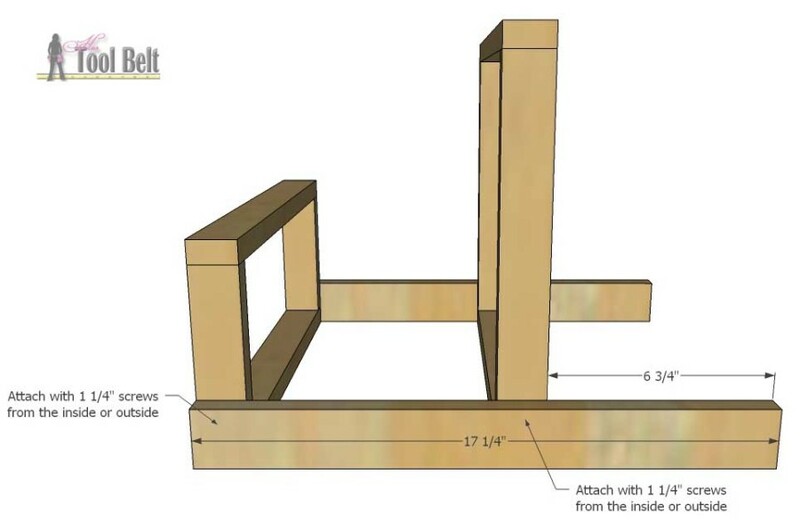 Line up the 19″ diagonal pieces with the outside corner of the top stair support, use a screw to secure. 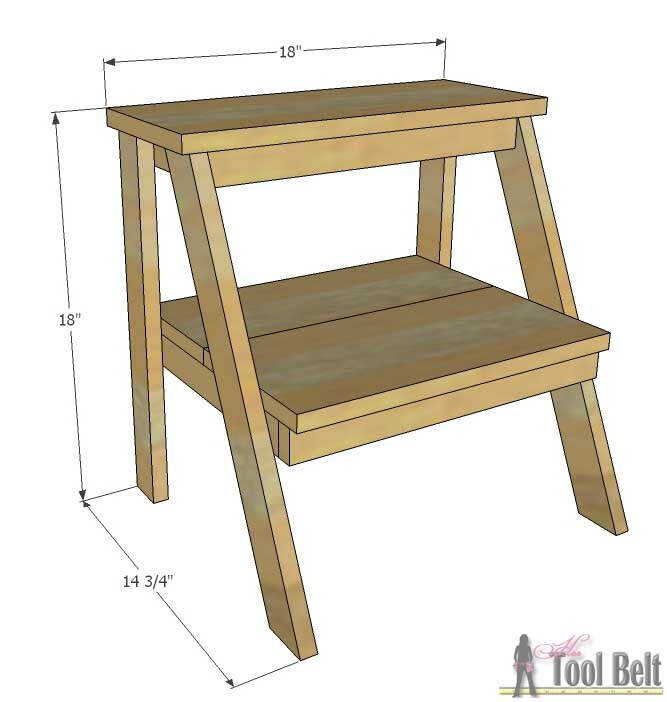 Place the stool on a flat surface, mark on the 19″ diagonal pieces 6 3/4″ from the bottom. 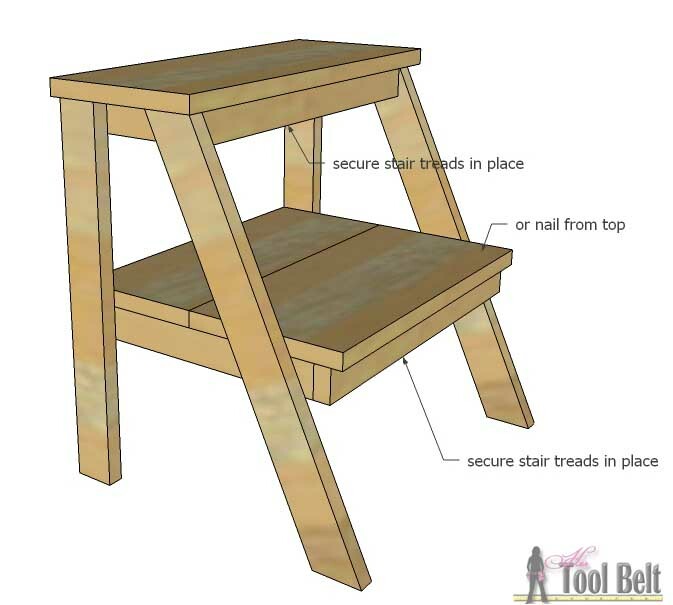 Adjust the bottom stair support until it lines up with the marks, clamp into place then secure with screws. 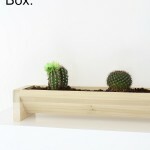 Add additional screws to the top support as needed. 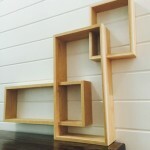 For the lower stair tread, you can leave the part of it open or fill it in the whole way. I think both ways look nice. Leaving the back open makes it look more ladder like. 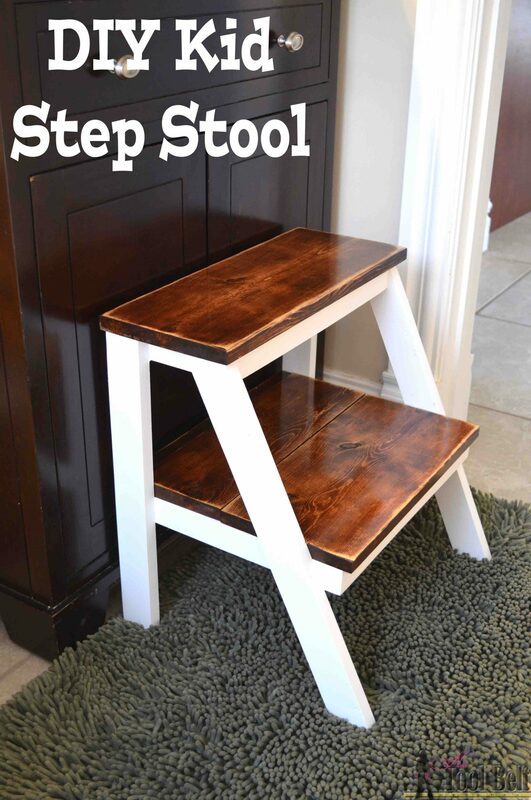 Secure the stair treads to the stool frame with either pocket screws or nail from the top into the frame. 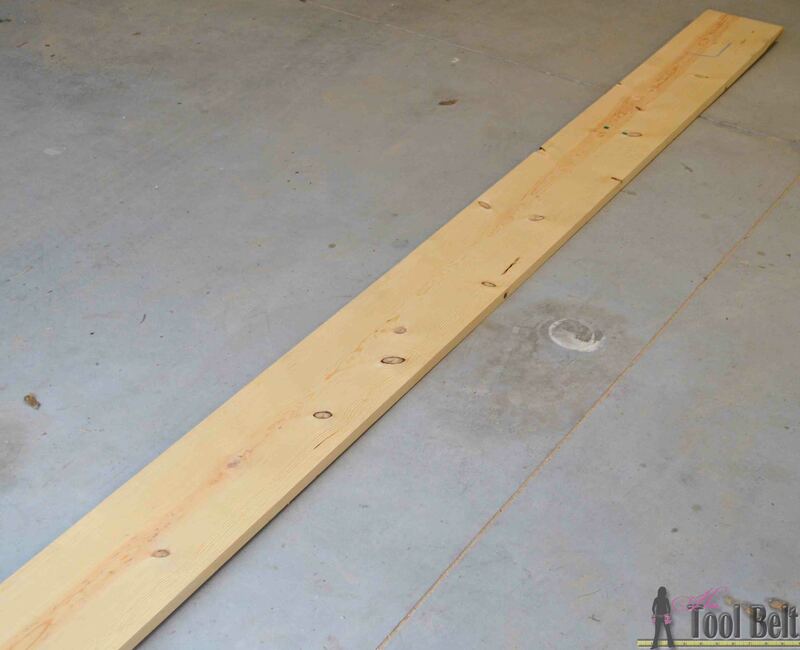 The top stair tread is flush on the back and hangs over 1/2″ on the sides and front. 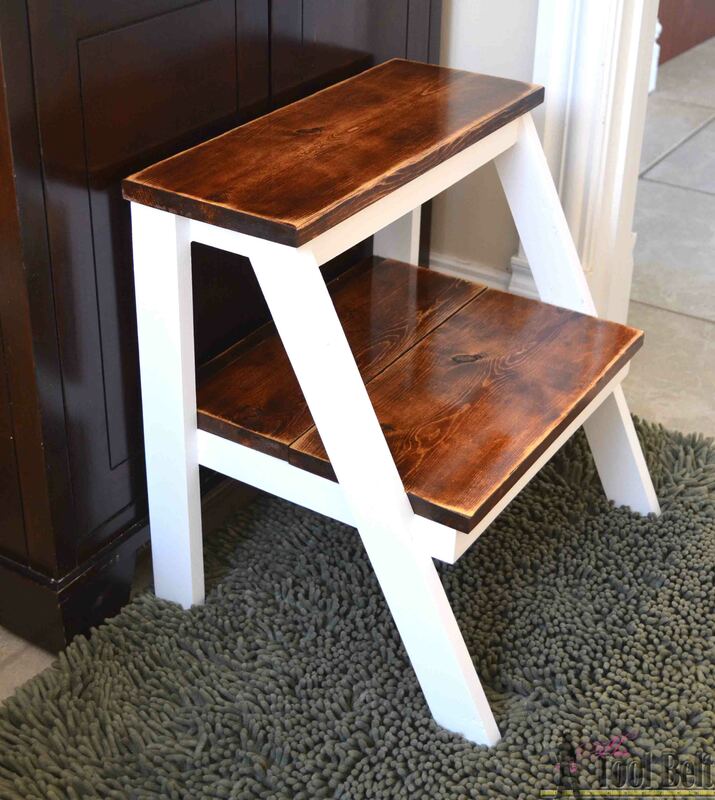 The lower stair tread is flush on the back and sides and hangs over 1/2″ in the front. Here’s a look at the partial lower stair tread. Or a with the full tread. I like both looks, but the full tread covers up the screws and pocket holes so I left it like that. 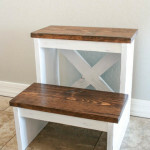 To finish the step stool, I gave the wood a good sanding and finished with 120 grit sandpaper. I decided to go with a two toned finish. 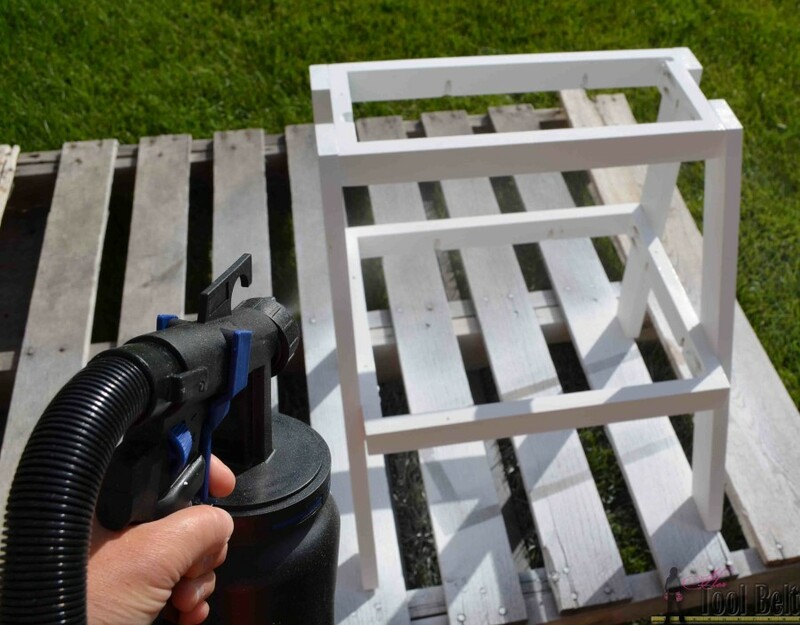 I removed the treads and primed and painted the frame white with the handy dandy HomeRight finish max pro finish sprayer* (I also really like this cheaper sprayer*). This was my first time using the HomeRight finish sprayer and it was a breeze to use and the finish turned out nice and smooth. I stained the treads with General Finishes Nutmeg, but wanted to go a little darker so I stained them again with Rustoleum Carrington. After the stain dried I roughed up the edges with sandpaper to give the treads a worn look. I figure my kids will probably abuse this thing, so might as well start off weathered then I won’t feel so bad when they ‘distress’ it 🙂 I added a top coat of Minwax polyurethane to the treads only (polyurethane will turn white paint yellow.) Once everything dried, I reattached the treads to the frame and the DIY kid step stool is ready to go. 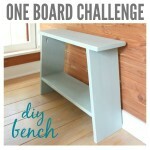 Be sure to check out the other projects in the One Board Challenge! 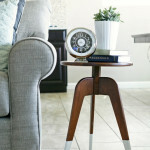 This stool is perfect ! 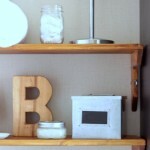 I love it…very functional and cute! Awesome Amy! Pocket hole perfection, and that finish on the treads is gorgeous. 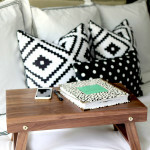 Love love love your stool, Amy. It’s been so fun seeing all the different projects everyone made with one board. 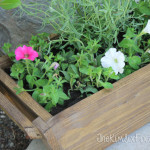 Great job, that looks so good especially with a hand saw!!! Kudos to you. This is great! Thank you! 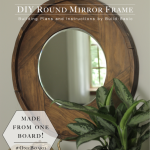 I just made one as a first project with my new miter saw. Can I trouble you with one question? How did you drill into the tight spaces? I had trouble putting the screws in the pocket holes when assembling the frames for the treads. Hi Alexis, Way to go! 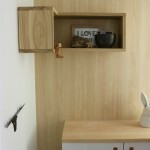 Sometimes with tight spaces I can put the screws in at a little bit of an angle and that will work. Other times I’ll use the Kreg short driver http://amzn.to/2ca1x42 with my impact driver (which is smaller than the normal drill) to get the tight spaces. I have been wondering what the weight limit would be on the bottom step particularly and when I came back here to look, I realized that it looks like you used 2 screws into each leg where I only used 1. 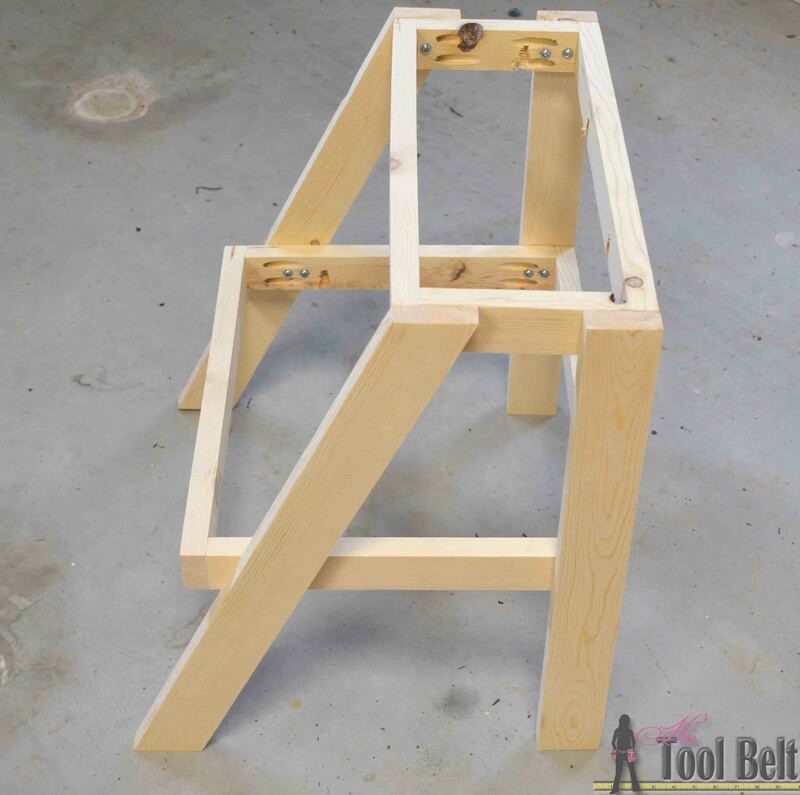 When I built the stool, I didn’t use pockets or anything fancy – basically squint at your design and imagine the pieces going together in the most basic way possible. So… that said, with the lower frame held in place by 4 wood screws and wood glue, what kind of load capacity would it have? Should I go back and add some more screws?